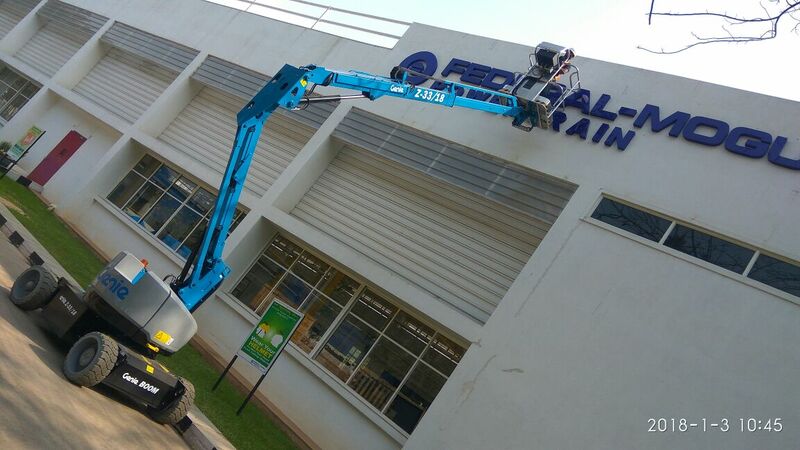 Our Self-Propelled Articulating Boom Lifts are divided into two types: engine drive and electric drive, with maximum working height of 15 m to 54m. The main components are all from world-class brands. Products have merits such as strong ability of reach up and over objects, powerful engine, convenient operation, safety, reliability and good quality. 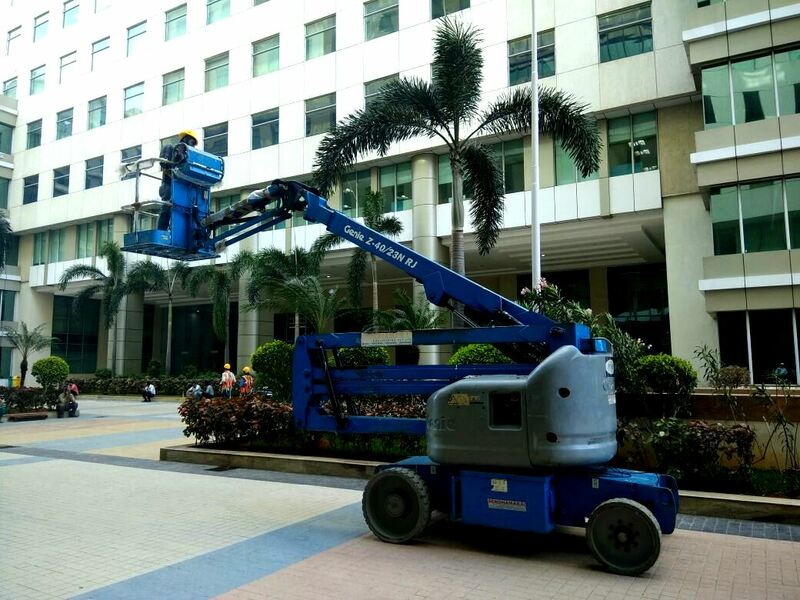 Our engine powered boom lifts have the characteristics of strong terrain ability and is suitable for outdoor complex work environment; our electric powered boom lifts is energy-saving, less noise, and lower emission, and is suitable for indoor work environment. 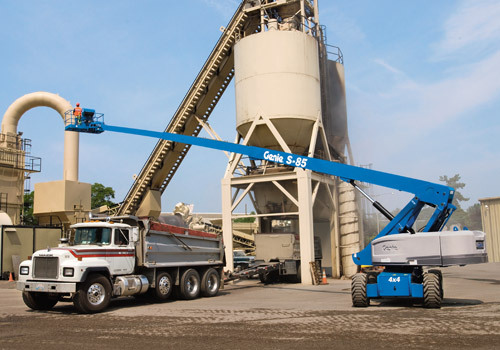 Articulating boom lifts provide the ability to lift up, over and out with precise positioning for ultimate versatility in hard-to-access work areas. Genie introduced the articulating Z-boom in 1985 with the Genie Z-30/20 model — a product that launched the company into the rental segment. These lifts gained incredible popularity due to their unique “up-and-over” capabilities to navigate obstacles at height. 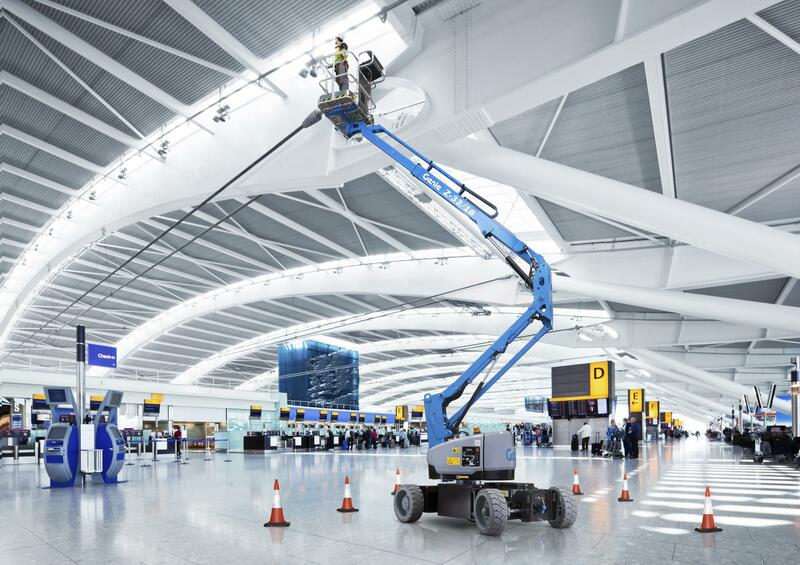 Boom lift rental service offers quiet, emission-free operation in the most sensitive work environments, and includes a rotating jib for 180°of horizontal rotation. 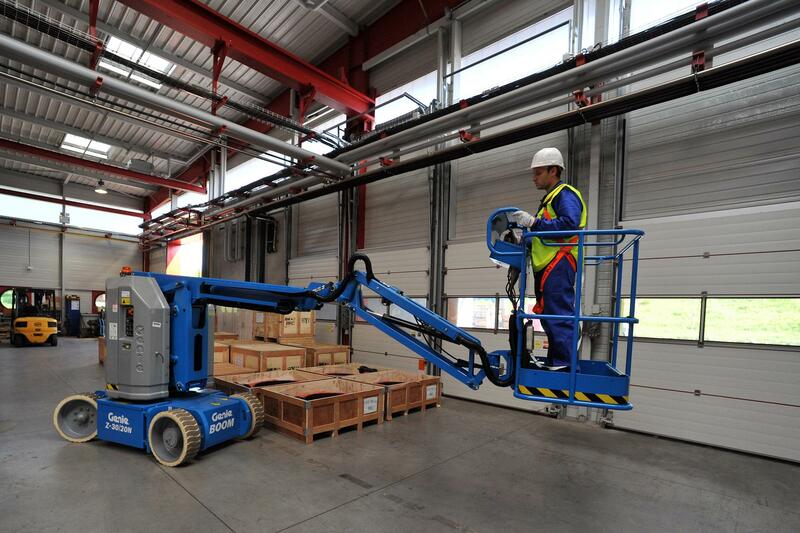 Similar to the battery boom lift, when the machine must be driven significant distances, the Genie bi-energy system combines the benefits of a 48V DC machine with the versatility of a diesel-powered generator. TELESCOPIC BOOM LIFT(TBL) is commonly know as “Stick Boom”. It is structured to improve working efficiency of our man power and ideal for the unfavorable atmospheric conditional area. 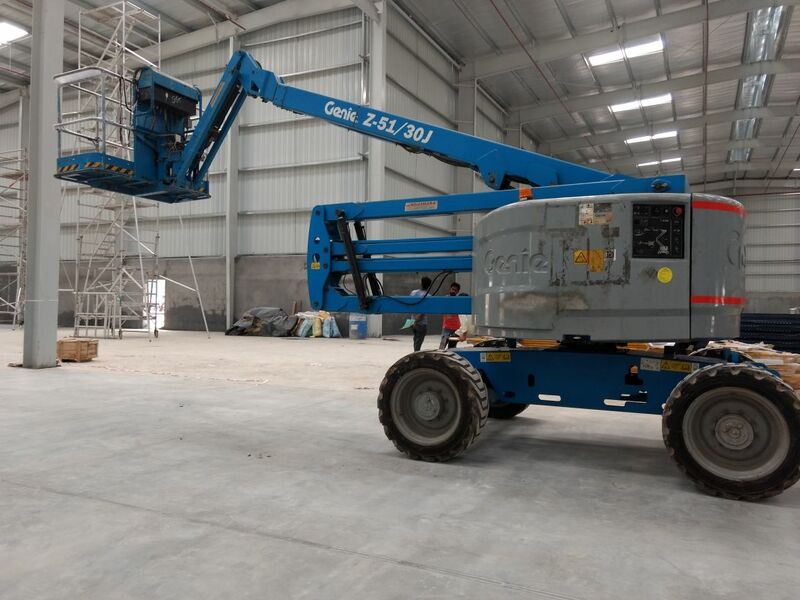 It has a extendable straight arm with work bucket infront so that jobs can be done maneuvering in maximum height and it can rotate 360 degree in either direction and boom can move up and down, from vertical to horizontal.It is specially designed to work in air and fastest lift. We are rental service diesel Telescopic boom lift rental supplier in Chennai, Bangalore, Hyderabad, Pune, Delhi, Ahmedabad and Ananatapur. 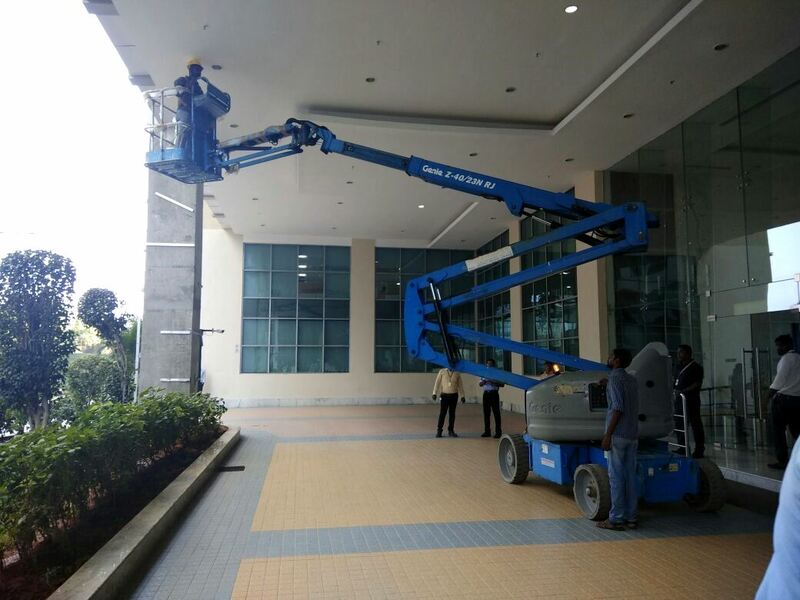 Articulated man lift in delhi, articulated boom lift, articulating boom lift, articulating boom lift rental price delhi, articulating boom lift for sale, articulating boom lift rental. First thing is How much weight it will carry, because approximately one person with heavy tools like raw materials should claim to the top. Second ,You should calculate the height and range where TELESCOPIC BOOM LIFT should move. For example: small-40 feet and tall 180 feet. Third ,The platform size should be big to fit and support the weight of all items you need to carry on it at once so that you can save time instead of wasting time in raising and lowering the platform. 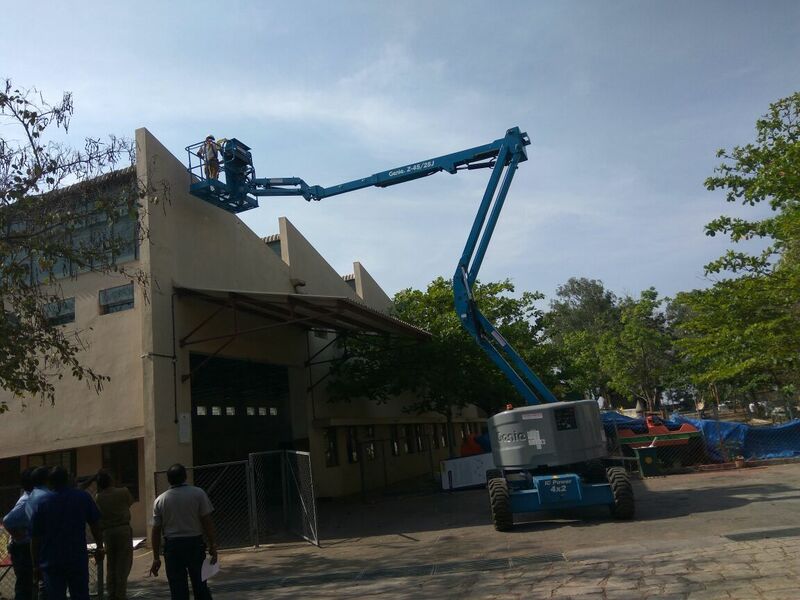 Fourth, Telescopic boom lift rental delhi is not advised to use in closed or indoor area without ventilation(in case of closed or indoor area you are advised to use electric telescopic boom lift for safety) because the fumes which will exhaust could cause carbon monoxide poising like issues. so we can avoid that issue. We are rental service diesel Articulating boom lift rental supplier in Chennai, Bangalore, Hyderabad, Pune, Delhi, Ahmedabad and Ananatapur. 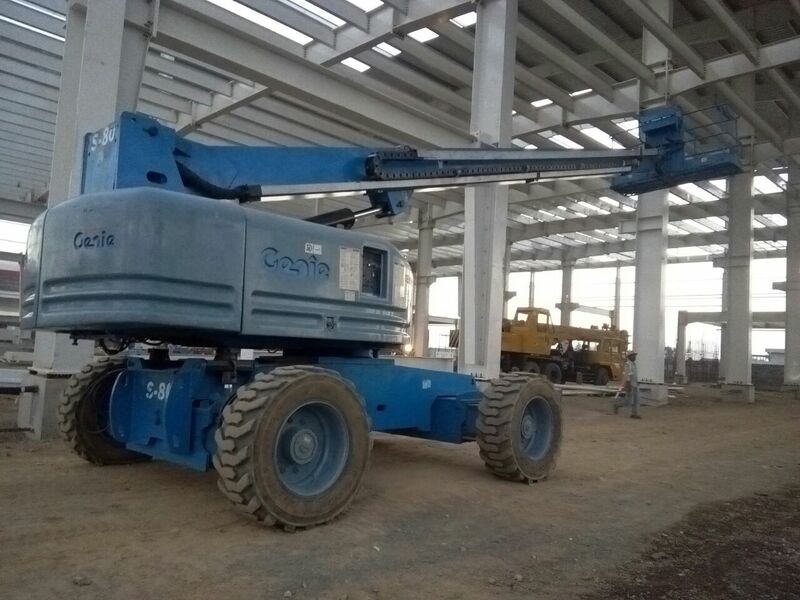 Articulated boom lift in delhi, articulated boom lift dealer, articulating boom lift, articulating boom lift rental price delhi, articulating boom lift for sale, articulating boom lift rental. Diesel Operated boom lift Rental Service offers quiet, emission-free operation in the most sensitive work environments. It’s a 48V DC machine with a diesel-powered generator acting as a 100 amp battery charger, making it ideal for indoor and outdoor applications. 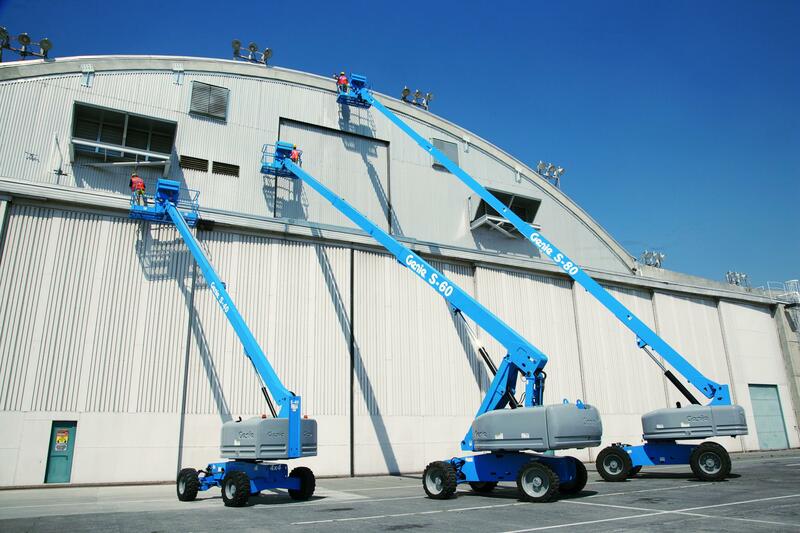 Telescopic boom lifts are engineered to enhance working efficiency and offer greater horizontal outreach than any other type of aerial platform. Perfect for work in areas with limited access, Genie telescopic booms deliver industry-leading outreach and capacity throughout a full-working envelope for incredible operational accessibility.